ITEM: USED Mass Air Flow Meter Sensor for 2013-2016 SsangYong Korando Turismo CONDITI.. ITEM: USED ICM Box Assembly for 2013-2016 SsangYong Korando Turismo CONDITI.. ITEM: USED PWM Controller for 2013-2016 SsangYong Korando Turismo CONDITION.. 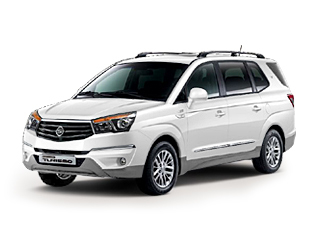 ITEM: USED Front Propeller Shaft Assembly for 2013-2016 SsangYong Korando Turismo CON.. ITEM: USED Rear Propeller Shaft Assembly for 2013-2016 SsangYong Korando Turismo COND.. ITEM: USED Body Control Unit Assembly Left Side for 2013-2016 SsangYong Korando Turismo.. ITEM: USED Smart Key Unit Assembly for 2013-2016 SsangYong Korando Turismo CONDITION&.. ITEM: USED Main Wiring Assembly for 2013-2016 SsangYong Korando Turismo CON..